There is nothing more important than making sure your family is taken care- call us for all your estate planning needs so you’re prepared and can have peace of mind. 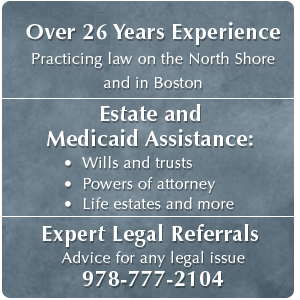 Attorney Sears assists clients with long term plans for Medicaid Eligibility through use of lift time gifts and trusts. 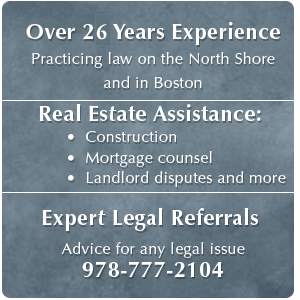 We also help clients with the process of obtaining long-term care through public agencies such as MassHealth. 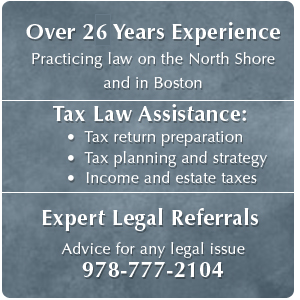 Be prepared for anything – call 978-777-2104 to benefit from a will today.